Your Guitar Playing? 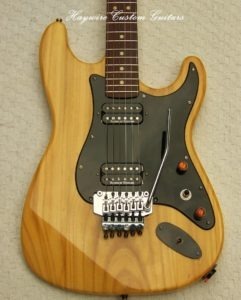 Haywire Custom Guitars-Highly Recommended! Home/Acoustic Guitar setup, acoustic guitar setups and repairs, Ask For Help, Being A Successful Guitar Player, better guitar tone, Better More Reliable Guitar, comfortable guitar, custom guitar by Haywire, Custom guitar modifications, custom guitars, Do You Really Want to Be A Guitar Player?, Gig Ready Guitar, guitar comfort level, Guitar Education, guitar improvements, guitar modifications, Guitar Neck Comfort, http://www.haywirecustomguitars.com/8pointtuneup.html, http://www.haywirecustomguitars.com/services.html, your guitar playing/How Do I advance My Guitar Playing? Maybe you need to be Inspired? 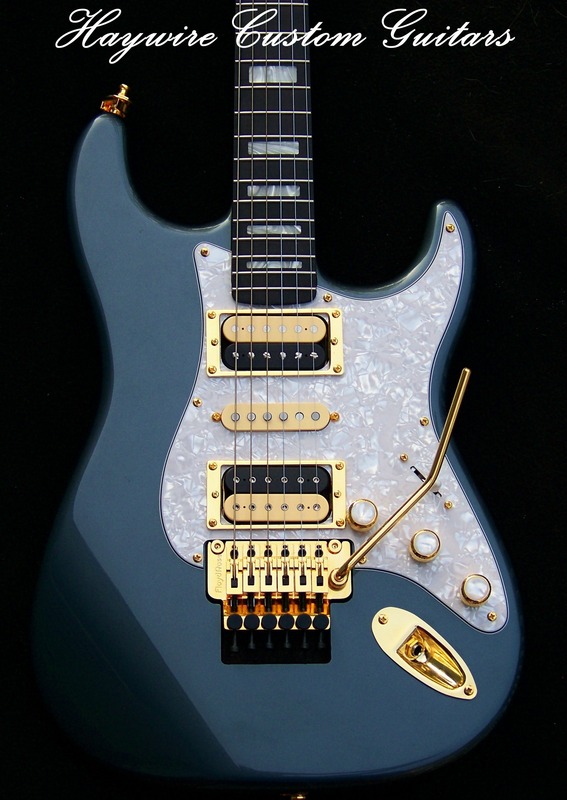 Maybe you need a very custom guitar to inspire your guitar playing? The question then becomes-How Custom do you need it? Sometimes when you have the right tool in your hand, as a result, guitar playing is easier. When your playing seems so much easier accordingly, your playing seems to improve. Why do you think that is? Could it be you want to spend more time with a guitar that’s just right for you? The more time spent with your guitar namely, playing it, the better you get. Right? Of course! And, above all, if it’s comfortable, reliable, sounds excellent, and plays great then you get inspired to go from one playing plateau to a higher one. Find your perfect guitar and play it! You can then answer the question about, your guitar playing. Our Haywire Custom Double Cutaway Modification Guitar Specs: Classic Body shape– extra light (3 lb. body) added plus hole re-routs sand and prep add gloss finish. Next we add Duncan Humbucker pickups, all chrome hardware, very custom 6 way wiring. Also included a Floyd Rose Tremolo. Furthermore, we applied satin lacquer to the neck and final sanded in 3000 grit pads after finish applied. We then installed the Haywire Custom Shop designed Warmoth Pro: 25-1/2” scale neck. It was a ‘59 round back profile plus large 6100 Stainless Steel frets. Because it was a wide neck, an R-5 locking nut and string bar for added sustain plus pro action setup. We moved the front jack to the side and added a Neutrik locking style input for cable security. Then we had space on the top to place the football style custom built black cover. with coil tap switch installed for easy access to tap the coils on both pickups. Added also was a new black trem plate to match pick guard. So far a very custom guitar. 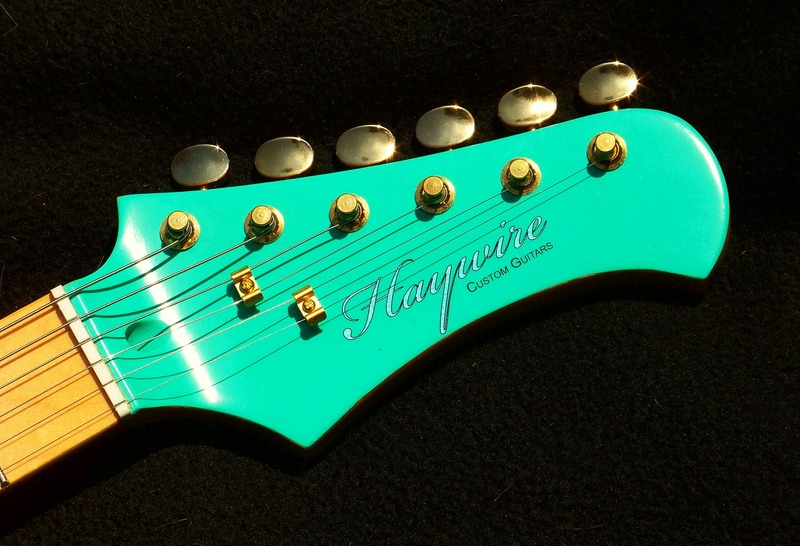 A coil tap switch activates and de-activates the “outside or inside poles” on the Humbuckers. The normal 5 way lever switch was not used but instead we chose a Gibson style pickup selector switch with a 3 way toggle for quiet “no noise” contact when selecting pickups during a performance. The volume and tone controls are moved and located well out of the way. Finally a custom cut pick guard for better chord and hand access. Together the final assembly and setup. This Haywire Custom Guitars Signature Double Cutaway Guitars includes low action, great tone, light weight, easier access to controls. Also included: Haywire Treble Bleed circuit, recessed heel option for all access to back of the neck. 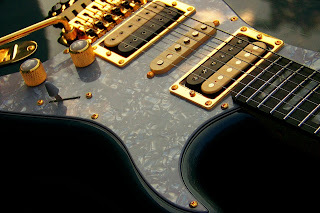 Thea great tremolo, locking jack for reliability, stainless frets will be a great asset. This will provide years of wear and a happy guitar player. How Custom is that? Feel inspired? Washburn, Epiphone, G&L, Rickenbacker, ESP, Schecter and many others.